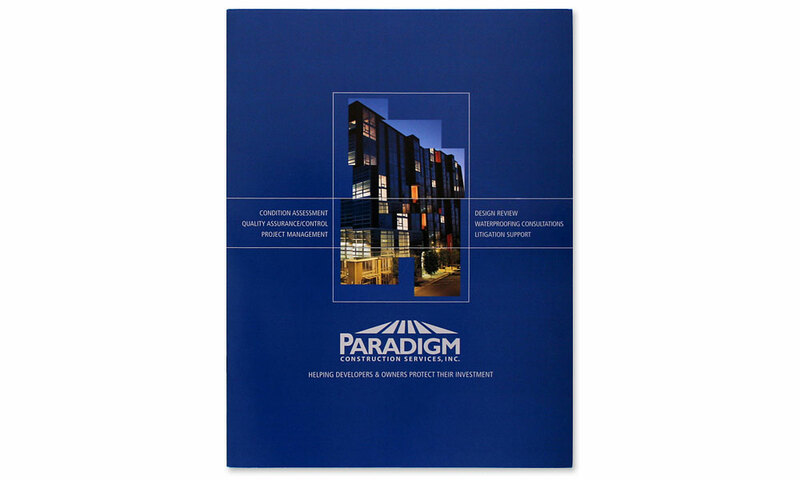 Paradigm Construction Services helps developers and general contractors decrease exposure to risk while increasing profitability, and helps owners better protect their investments. They have expertise in quality assurance/quality control, project management, condition assessment, waterproofing, design review, litigation support and warranty development and review. 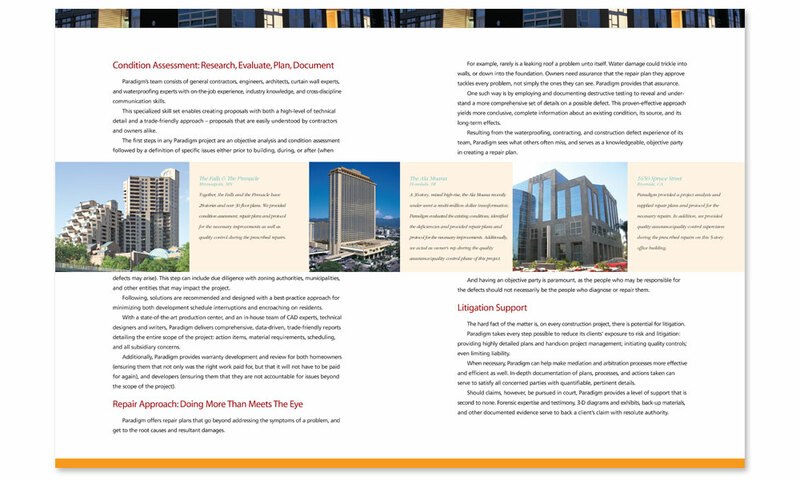 With this list of services, it became apparent to BrainShine that we would have to present this company through its case studies. 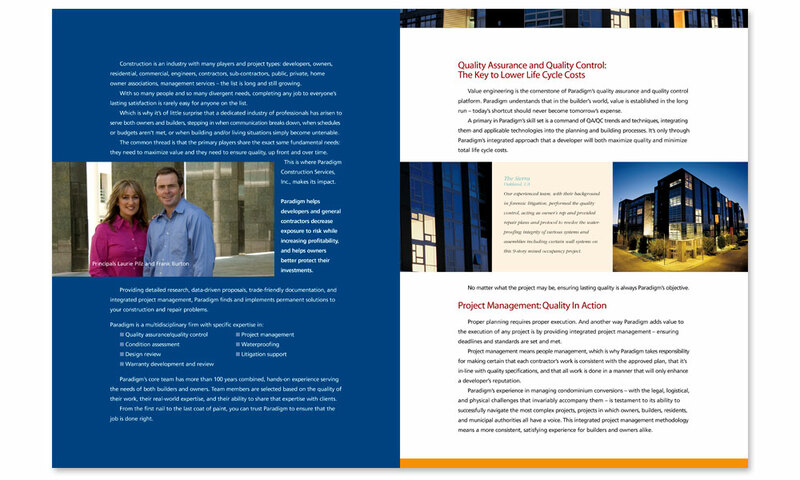 Each high-value project had its own issues to address. 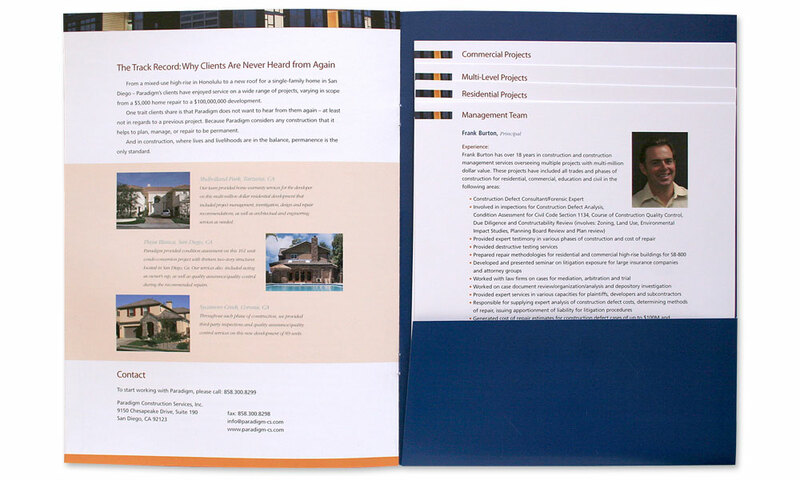 So we featured several projects in their brochure and created the cover with a pocket folder for timely updates of new one-sheets featuring projects/clients. This also allowed salespeople to customize the brochure for targeted new business pitches. The brochure itself features rich color photography enhanced by silver metallic ink to create the upscale look potential clients would expect from this company.